Home » Leadership » Stanton D. Anderson, Esq. Mr. Anderson was appointed to our Board in connection with our IPO in July 2013 and is the Chairman of the Compensation Committee and is a member of the Audit Committee. Mr. Anderson resigned as a partner from the law firm McDermott Will & Emery in February 2008. He has served as Senior Counsel to the President and CEO of the U.S. Chamber of Commerce (the “Chamber”) since 1997. While a partner at McDermott Will & Emery, Mr. Anderson served as Executive Vice President and Chief Legal Officer of the Chamber. Mr. Anderson also oversaw the National Chamber Litigation Center, the public policy legal arm of the Chamber; the Institute for Legal Reform, a Chamber affiliate dedicated to restoring fairness, efficiency, and consistency to the U.S. civil justice system; and the Chamber’s Office of General Counsel. 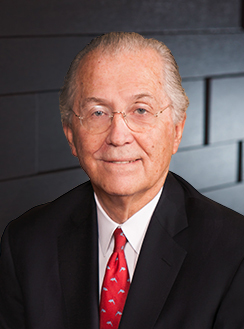 Mr. Anderson has been involved in national political affairs since 1972 where he managed a number of Republican conventions and served as Counsel to the Reagan-Bush Campaign in 1980. Mr. Anderson has received a number of Presidential appointments, including the President’s Advisory Committee on Trade Negotiations and the Presidential Commission on Personnel Interchange, and chaired the U.S. delegation to the United Nations Conference on New and Renewable Energy Resources in 1981. Mr. Anderson previously served on the Board of Directors of two public companies, CB Richard Ellis, a national real estate company where he chaired the audit committee for a number of years, and Aegis Communications Group, where he chaired a number of board committees, including the audit committee. Mr. Anderson graduated from Westmont College, where he was a Small College All-American basketball player, and received his law degree from Willamette University where he was a member of the Law Review.